TITLE: ASSISTANT PRINCIPAL (ELEMENTARY) GENERAL STATEMENT OF JOB Under occasional supervision, assists the Principal, teachers and other instructional staff in coordinating and improving the school’s instructional program to the benefit of every student; assists the principal with daily school administrative functions, including but not limited to the enforcement of student discipline policies and procedures; supervises and coordinates the work of assigned personnel, ensuring subordinates' adherence to school and District policies, regulations and goals. Reports to the Principal. SPECIFIC DUTIES AND RESPONSIBILITIES ESSENTIAL JOB FUNCTIONS Assists the school Principal by providing leadership in the coordination, implementation and improvement of the school’s instructional program, and assisting with other administrative functions as assigned. Supervises subordinate staff; supervisory duties include instructing; assigning, reviewing and planning work of others; maintaining standards; coordinating activities; assisting with the selection of new employees; acting on employee problems and recommending the discipline and discharge of employees as appropriate. Reviews the work of subordinates for completeness, accuracy and adherence to District policies; evaluates and makes recommendations as appropriate; offers training, advice and assistance as needed. Assists in the preparation of the school’s annual operating budget. May prepare and administer grants for special program / project funding. Serves as a resource person to the Principal, teachers, parents and others by assisting in the selection and evaluation of instructional methods and materials, suggesting methods appropriate to individual needs, responding to questions about school programs and instructional policy matters. Assists the Principal in assessing the instructional program. Assists in the supervision of teachers, staff and students; assists in developing, implementing and evaluating staff development opportunities at the school level; performs teacher observations periodically; coordinates the placement of student teachers, practicum teachers and teacher cadets. Assists the principal in establishing an appropriate atmosphere for maximal student learning. Assists teachers and Principal in coordinating school testing programs, analyzing and interpreting test data and monitoring student growth and progress. Works with teachers in assessing instructional problem areas and finding appropriate solutions; encourages teachers to use new methods and materials where appropriate for the improvement of instruction; helps plan and implement new instructional programs or procedures. Assists in planning and overseeing registration and schedule pick-up by students; assigns students/staff parking. Orders and assigns textbooks to students and teachers; maintains inventory. Assists in and coordinate the scheduling and assigning of teachers and students for each school. Supervises detention, bus loading/unloading, early morning activities, cafeteria duties and/or other operational functions as assigned. Serves on the school’s discipline committee; maintains high standards of student conduct and enforces discipline as necessary, complying with due process and rights of students; recommends students for suspension or expulsion and attends and presents evidence at related hearings; works with school resource officers to investigate potential law violations and file charges against student offenders; provides family court referrals and intervention recommendations. Trains teachers in assertive discipline techniques, proper attendance enforcement procedures, handling problem classroom situations, etc. ; responds to emergency classroom situations as necessary. Monitors student attendance; files truancy charges as required. Serves on the District’s discipline committee; reviews and recommends changes in the District’s discipline code as appropriate. Responds to staff, parent and student concerns on a variety of issues, including but not limited to disruptions, fights, alcohol / drug / weapon possession, etc. Coordinates, facilitates and/or provides leadership of school programs, which may include but are not limited to homebound instruction coordination, mentoring program, tutoring programs, volunteer programs, child study and intervention teams, School Improvement Council activities, PTO activities, Student Assistance Team, after-school programs, school store, Student Council, etc. Assists in identifying special needs students; assists in planning instructional programs for special needs students; attends IEP meetings; may provide leadership and management of all school-level special education programming; maintains related records. Coordinates and/or assists with the development and implementation of school activities, programs, assemblies, fund raisers and other functions; attends and assists in supervising students during school-sponsored events, including night activities. Receives and responds to inquiries, concerns and complaints from teachers, other staff, students and parents; maintains effective relationships with students and parents; works to resolve administrative, instructional and behavioral problems. Enforces policies and procedures designed to protect the safety and welfare of students and staff while on campus; conducts safety drills. JOB SUMMARY: The Director of Assessment, Accountability and Secondary Programs will support schools in the areas of student information systems management, data analysis, state assessment policies, and accountability standards for Jasper County School District (JCSD). The director will report directly to the Chief of Instructional Services providing key strategic direction and project management while leading the continued development of our data, assessment, and accountability team. The director will oversee network schools’ testing coordinators providing workflow management and oversight as well as providing ongoing feedback and coaching to further their professional development. S/he will provide strategic, data-driven problem-solving support to organizational leadership while providing consultation to school leadership. S/he will integrate the management and analysis of student data seamlessly into JCSD's effective execution of state assessment and accountability standards. S/he will provide instructional support to all secondary schools within our district via curriculum, data, professional development, etc. KEY RESPONSIBILITIES INCLUDE BUT ARE NOT LIMITED TO THE FOLLOWING: * Develops, implements, and analyzes assessments to determine learning mastery and review data to determine trends. * Disaggregate data and create reports; and provide evaluative findings (including student achievement data) for the review of curriculum and instruction program effectiveness. * Compiles and disseminates reports on student achievement (i.e. academic dashboards); * Works cooperatively with school leaders, leadership teams, instructional coaches in developing and supervising the procedures for administering local and state assessments. * Coordinate the ordering and use of all local and state assessment materials. * Ensure network compliance with federal and state accountability requirements. * Manages the Student Information System and school-based data managers. * Provide stakeholders with valuable data and information for the purpose of informing instructional practices and promoting high levels of student achievement. * Complete assessment calendar for the District. * Provide accurate and statistically appropriate reports. * Plan and provide staff development for teachers, school leaders on educational trends, school-based testing coordinators on the requirements of the state assessment program and the state and federal accountability programs. * Disseminate information regarding requirements of the state assessment program including test administration, security, and confidentiality. * Analyze data including benchmark assessments, enrollment, attendance and demographic data. * Plan, improve, and oversees local and state assessments. * Monitor all school sites during the administration of state assessments. * Compile, maintain, and file all state and federal reports. * Advise and collaborate with the CIS and school leaders on carrying out the goals and objectives for meeting the district strategic plan. * Advise and collaborate with the CIS and school leaders on organization issues, and student achievement based on current data and information for the purpose of ensuring accountability measures and network initiatives are being met. * Serves as the lead liaison with school’s assessment and accountability staff. * Knowledgeable of state reporting systems. * Plan and provide training for teachers, administrators and staff including the use of data analysis program; 504 accommodations and testing procedures and security. * Operate a computer using office software for word processing database, spreadsheet, data management and disaggregation and project management. * Performs other duties as assigned within roles and responsibilities. * Broad knowledge of modern research-based instructional techniques and teaching methods, curriculum development, program implementation and assessment processes. * Able to perform basic math; read technical information, compose a variety of documents. * Operate standard office equipment pertinent software applications; preparing and maintaining accurate records and performing accounting procedures. * Knowledge of curriculum design. * Knowledge of statutory and regulatory requirements of state and federal accountability and state assessment. * Ability to deliver training to adult learners. * Ability to interpret data, problem-solving, and observational skills. * Strong organizational, communication, and interpersonal skills. EXPERIENCE AND QUALIFICATIONS: * Minimum of a Bachelor’s Degree * Broad knowledge of modern research-based instructional techniques and teaching methods, curriculum development, program implementation and assessment processes. * Able to perform basic math; read technical information, compose a variety of documents. * Operate standard office equipment pertinent software applications; preparing and maintaining accurate records and performing accounting procedures. * Knowledge of curriculum design. * Knowledge of statutory and regulatory requirements of state and federal accountability and state assessment. * Ability to deliver training to adult learners. * Ability to interpret data, problem-solving, and observational skills. * Strong organizational, communication, and interpersonal skills. Posting: Director of Early Childhood and Elementary Education Start Date: July 2019 Responsible To: Superintendent or Superintendent Designee Contract Days: 240 Salary: District Administration Salary Schedule, Level I General Statement of Job: Under limited supervision, provides leadership in supporting, promoting, and assessing progress toward improved instructional outcomes at the early childhood and elementary school levels. Performs related professional, administrative, and supervisory duties as required. Coordinates with the work of content specialists; coaches and advises. Reviews subordinates’ adherence to regulations, district goals, and policies. Reports to the Chief Academic Officer. Major Responsibilities:  Plans and implements a district-wide program of curriculum review and development at the early childhood and elementary levels.  Develops an effective, district wide program of supervision and in-service education of the instructional staff of the early childhood and elementary schools.  Assists with planning and the implementation of the strategic plan of the district.  Engages in an on-going evaluation of the effectiveness of the instructional program.  Integrates instructional programs among the early childhood and elementary education schools. With the content coordinators, articulates curricula between grade levels, and between early childhood and elementary schools.  Assist with system level planning to coordinate the transition between early childhood, elementary and secondary.  Recommends areas in professional development to address instructional issues and works with the coordinator of professional development to provide appropriate professional development for the district.  Monitors the early childhood and elementary school instructional process; is visible in early childhood and elementary schools; and analyzes the results of state, district, and school data to make recommendations for improving instructional services as appropriate.  Directs, coordinates, and facilitates assistance to early childhood and elementary education school principals concerning building level issues.  Coordinates and provides instructional assistance to teachers; works with teachers in the preparation of curriculum and materials.  Provides guidance in the selection and use of textbooks and other teaching materials.  Organizes and facilitates early childhood and elementary intervention programs.  Coaches and advises; directs and supervises duties of assigned staff. Supervisory duties include instructing; assigning, reviewing, and planning work of others; maintaining standards; coordinating activities.  Assists in the recruiting, interviewing, screening, and recommending of qualified candidates for positions on the early childhood and elementary schools’ professional staff upon request.  Serves as the chair of the early childhood and elementary guidance counselors. Collaborates with all instructional divisions to include special services and magnet programs. Works with principal to resolve parents and students instructional concerns. Works with other instructional directors, supervisors, and coordinators in planning and implementing early childhood and elementary district-wide initiatives.  Reviews the work of subordinates for completeness, accuracy, and adherence to district policies; evaluates and makes recommendations as appropriate.  Assist in the preparation of grant proposals and the administration of funds for special projects and programs.  Receives, reviews, prepares, and/or submits various records and reports including statistical data, statistical and analytical reports, technical reports, payroll reports, requisitions and purchase orders, training reports, budget documents, memos, correspondence, etc.  Provides content for the district website and assists in promoting other district programs.  Keeps abreast of developments and innovations in the profession and ensure that staff members remain current as well.  Interacts and communicates with various groups and individuals such as the immediate supervisor, other administrators, principals, teachers, students, Board members, and the general public. Additional Responsibilities:  Appoints and chairs, as requested, committees and task forces to study and make recommendations regarding special initiatives; serves on district and state committees as appropriate.  Represents the district at various local, state, and national professional meetings as requested.  Performs related duties as required. Minimum Qualifications/Requirements:  Master’s Degree in Elementary Educational Administration or a related field is required; Educational Specialist degree preferred or in a program.  Prior experience as a Principal in high poverty setting preferred  Knowledge of school reform and student support strategies  Demonstrated success leading strategic educational initiatives Knowledge/Skills/Abilities:  Ability to function calmly and effectively under pressure.  Excellent organizational skills.  Ability to reflect, and access; as well as develop plans.  Must be able to analyze data.  Ability to exercise strict confidence in handling sensitive information.  Excellent written and verbal communication skills. This job description is intended to serve as a summary of the primary responsibilities and qualifications for this position. It is not intended as inclusive of all duties an individual may be asked to perform while in this position or of all qualifications that may be required now or in the future. McCormick County School District Job Description POSITION TITLE : Avid Elective Teacher SUMMARY: The AVID elective teacher is a skilled educator grounded in relationships. AVID, Advancement Via Individual Determination, is an academic acceleration program that aims to prepare students in the academic middle for four-year colleges. The AVID elective curriculum features writing, inquiry, collaboration, organization, reading, note taking, and study skills. Because AVID elective students also enroll in at least one rigorous course including honors or AP, the AVID elective teacher is responsible for supporting students’ academic success across content are EDUCATION and/or EXPERIENCE : Bachelor’s degree in education. Advanced degree preferred. SC teaching license Minimum of (3) years of successful teaching experience. ESSENTIAL DUTIES AND RESPONSIBILITIES: Demonstrated knowledge of SC content standards. Experience in research-based instructional practices that will effectively and efficiently support learning Deep knowledge of reading, writing, literacy and/or mathematics. Well-respected teacher leader who uses data to inform instruction. Culturally responsive practitioner who is committed to eliminating opportunity disparities. Collaborate with stakeholders (AVID students, AVID parents, AVID counselors, the AVID coordinator, the AVID administrator, and teachers) to develop an AVID program based in a college-going culture. Establish and maintain high expectations for AVID students’ achievement. Collect and analyze AVID student data and regularly monitor AVID students’ academic progress. Advocate for AVID students’ access to and success in rigorous courses. Teach and promote the use of WICOR instructional strategies across content areas. Collaborate with tutors to effectively implement the tutorial process. Other duties as assigned Terms of Employment: Salary to be determined by the salary schedule established by the Board of Trustees. Reports to: Principal Days: 190 Salary Range: Please see our salary schedule The information contained in this job description is for compliance with the Americans with Disabilities Act (A.D.A.) and is not an exhaustive list of the duties performed for this position. Additional duties are performed by the individuals currently holding this position and additional duties may be assigned. Student Services Position / Speech Therapist Job ID: Note: Minimum requirements include, but not limited to one having a master's degree with a valid SC Certification as Speech Language Pathologist, SC LLR License and ASHA certification of clinical competence. Administrator Position / Principal JobID: 3343 www.applitrack.lcsd.onlineapp Principal certification as issued by the SC Department of Education is required. Recent administrator experience preferred. Administrator Position / Principal JobID: 3342 www.applitrack.com/lcsd/onlineapp Principal certification as issued by the SC Department of Education is required. Recent administrator experience preferred. Administrator Position/Principal JobID: 3341 www.applitrack.com/lcsd/onlineapp Principal certification as issued by the SC Department of Education is required. Recent administrator experience preferred. Administrator Position / Director JobID: 2972 www.applitrack.com/lcsd/onlineapp Director of Finance Job Description Basic Function: Under the direct supervision of the Chief Financial Officer, oversees the Accounting Department and is responsible for maintaining all financial records of the payroll and accounts payable systems and for related financial reporting. This position is responsible for establishing and monitoring internal controls over financial transactions. Other responsibilities include all bank reconciliations, preparing the annual audit report, maintaining and reconciling payroll staff listings, working with the development of the payroll budget, maintain employee leave accounting. This position oversees a staff of seven employees including one administrator (Payroll Coordinator). Salary Range: $60,961 - $85,907 248 Days Responsibilities: Payroll/Fringe Benefits/Employee Leave Accounting • Review all payroll forms and update staff listings. • Work with payroll coordinator and payroll staff to process payrolls. • Prepare and submit all reporting related to payroll. • Prepare initial payroll staff listings with proposed budget changes to salaries and benefits for the new year. • Maintain compliance with the Affordable Care Act through reporting and monitoring payroll on a monthly and annual basis. Work with Human Resources to prepare and distribute 1095C Forms to individuals and to e-file the annual report with the IRS. • Process annual W-2 forms. • Review and upload employer fringe to the general ledger monthly. • Review fringe benefit payments monthly. • Work with Benefits Administrator to reconcile monthly payroll deductions. • Process all employee deduction refunds and adjustments. • Serve on Sick Leave Bank Board to review and advise on leave request. • Maintain employee leave records and reporting. • Review long-term leave forms and docks monthly. • Calculate and process annual Teacher Attendance Incentive for unused personal days and sick days. Cash Management • Prepare all monthly bank account reconciliations. • Review and/or prepare all cash transfers between bank accounts. • Ensure bank balances are adequate to meet expenditures throughout the year. • Reconcile cash balances and monitor cash flow between bank accounts. • Daily review of bank account transactions online. • Review and verify all bank drafts. Accounts Payable/Accounts Receivables • Work with accounts payable staff to process payables weekly. • Review accounts payables and travel expenditures weekly. • Assist in reconciling any vendor accounts in dispute with accounts payable clerk. • Prepare and review Spending Transparency reporting for check registers and procurement card transactions to be loaded to the website. • Review monthly sales and use tax report. • Review recording of all procurement card transactions to be posted. • Process and maintain records for state teacher supply check. • Prepare annual 1099 forms. • Review receivables weekly. • Maintain credit card machines/software in schools. Procurement • Review and approve all purchase orders. • Report any discrepancies in payables with the Procurement Code to the Procurement Director. • Work with the Director of Procurement on any issues with payables. Public Employee Benefits Administration (Retirement, Insurance, Deferred Comp) • Prepare budget to meet changes with retirement and insurance rates. • Work with Chief Operations Officer and Human Resources to hold meetings annually with employees nearing retirement. Include representatives from Public Employee Benefits Administration, SC Deferred Compensation, our Tax Sheltered Annuity providers, and local financial advisors. • Serve as administrator of 403b plans for compliance with IRS regulations. • Work with planwithease.com, our third party provider for 403b plans. Annual External Audit • Work with the CFO to close the year for the annual audit. • Assist the Fiscal Services Administrator with closing out of Grants Accounting Processing System claims for the State, direct Federal claims, and direct local claims. • Book fringe benefits allocation to food service fund. • Determine that state 85% funding requirement has been met. • Prepare supporting schedules as needed for the audit report. • Review and reconcile audit draft to the district’s general ledger. • Work with auditors as needed. 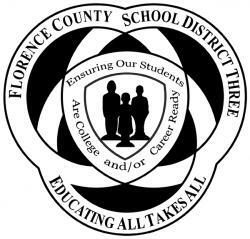 District Training & Continuing Education • Meet all required continuing education for self and staff. • Provide opportunities for seminars and conferences which would benefit the staff in their positions. • Hold training sessions as needed with Fund Custodians and Principals. • Hold training sessions annually with all school and department bookkeepers. • Provide new bookkeepers with individual training from our staff. Miscellaneous • Prepare, review and approve adjusting journal entries as required. • Maintain and update the district’s business software, as needed. • All other endeavors with a financial impact on the district, as needed.